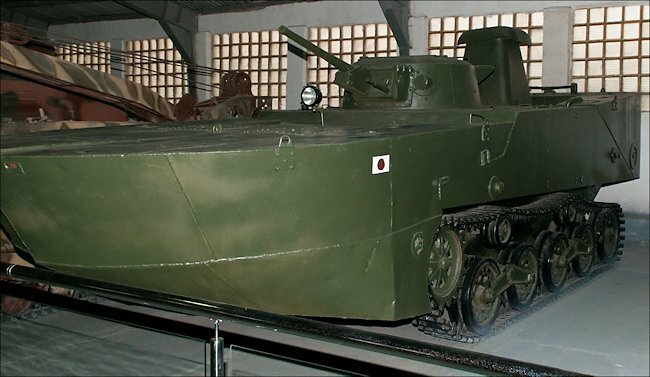 The preserved Type 2 Ka-Mi Amphibious WW2 Japanese tank in the Russian Tank Museum in Kubinka. 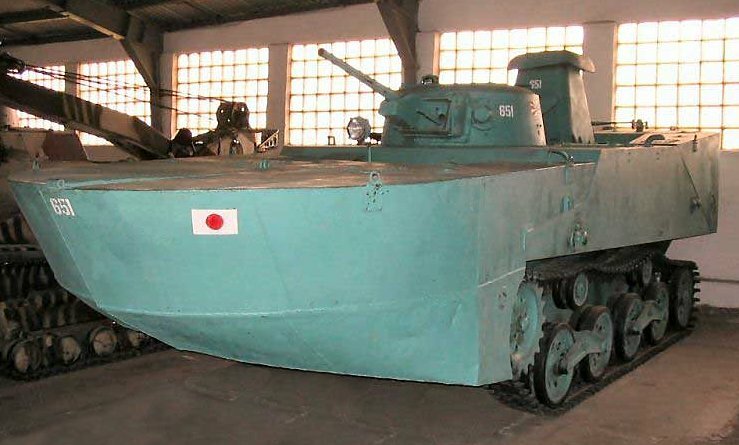 type 2 Ka-Mi Amphibious WW2 Japanese tank in the Kubinka Tank Museum in Russia painted green. 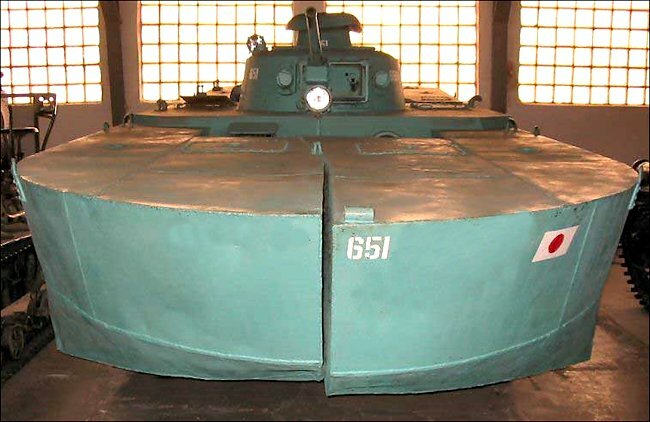 The Type 2 Ka-Mi Amphibious Tank was designed in 1942. Around 184 were produced for the Imperial Japanese Navy. It weighed 12.3 tons and 9.15 tons without the floatation pontoons. It had a crew of five, sometimes six. They were protected by armour that ranged in thickness from 6 mm to 13 mm. This was only just enough to stop small arms fire and shrapnel from high explosive artillery shells. 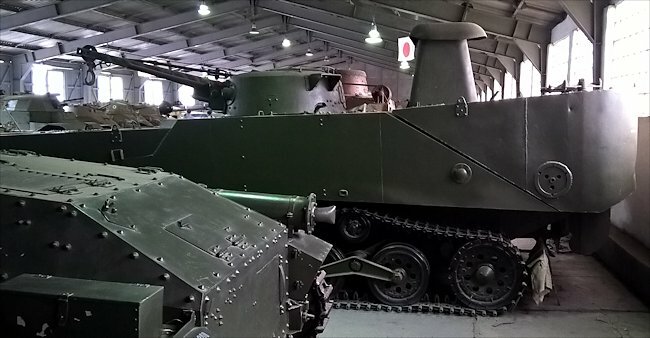 It was armed with one Type 1 37 mm gun and two Type 97 7.7 mm machine guns: one in the hull and another in the rear of the turret. It was powered by a Mitsubishi A6120VDe air-cooled inline 6-cylinder diesel engine that produces 115 hp. Its maximum road speed was 37 km/h (23 mph).